Hiii it's meee!! So many things have been going on in my life (hence the hiatus), including GRADUATING FROM COLLEGE (thanks, FIDM! ), redesigning my blog, as well as starting a new job! I have more time to dedicate to you guys with my blog and it has tremendously changed my outlook on a lot of things (that and sleeping finally). Graduating from FIDM SF in Visual Communications not only has helped me as stylist, but also as an individual who loves art and expression. There are so many things that I didn't realize I was capable of, which makes me so confident today. I'm so excited to take what I have learned and to apply it to the real world! Wooop! 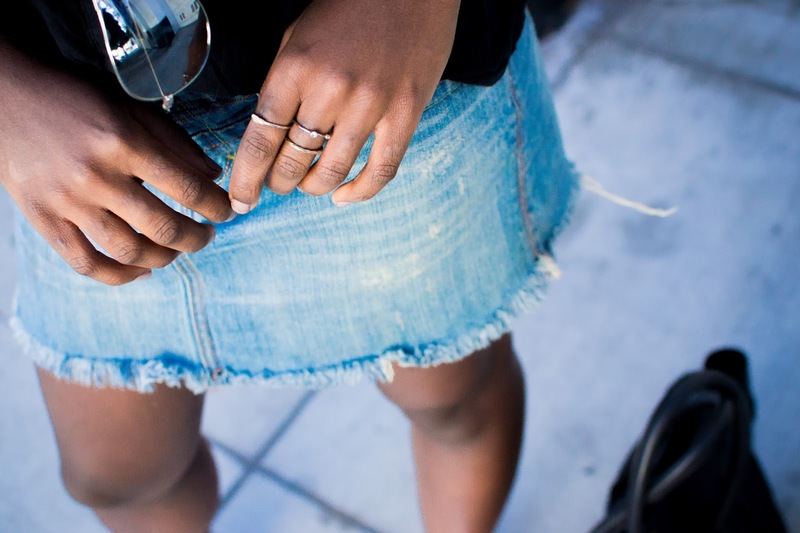 Weather has been picking up here in the Bay Area, and wanted to show a little skin by bringin' back the denim mini skirt. I haven't worn this in over 5 years and it still fits like a glove. Funny part about it all is that it's from American Eagle! :P But forgetting that it gets windy in the city after 4pm, I almost got blown away. Nice, Vee. Oh! And let me just express my love for this new location I found right across the way from the Ritz Carlton in San Francisco! My best friend and I found the prettiest white door that made us feel like we needed to be transported to Greece immediately. I love finding new shooting locations and just truly unique architecture. Definitely not hard to find here in San Francisco which makes me love it even more. What are your summer go-to's? 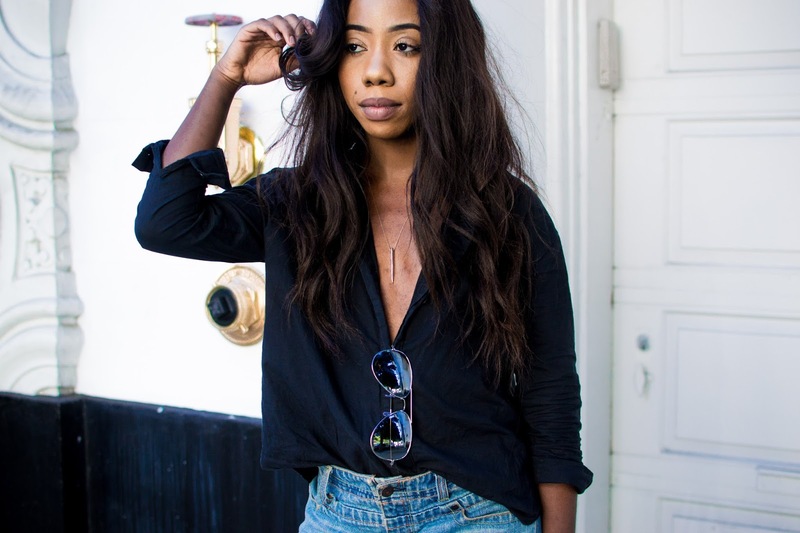 You can let me know down below or on instagram (@thestyleoffduty)! 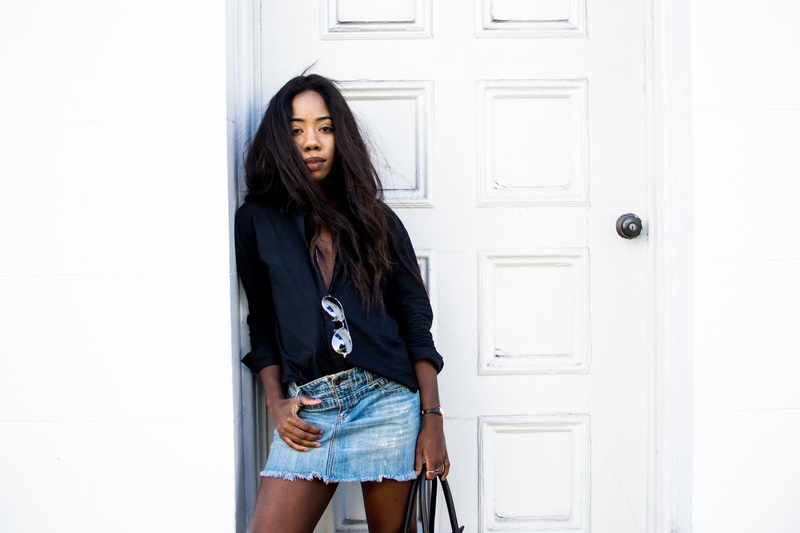 I adore your denim skirt, been wanting one for my myself as well!